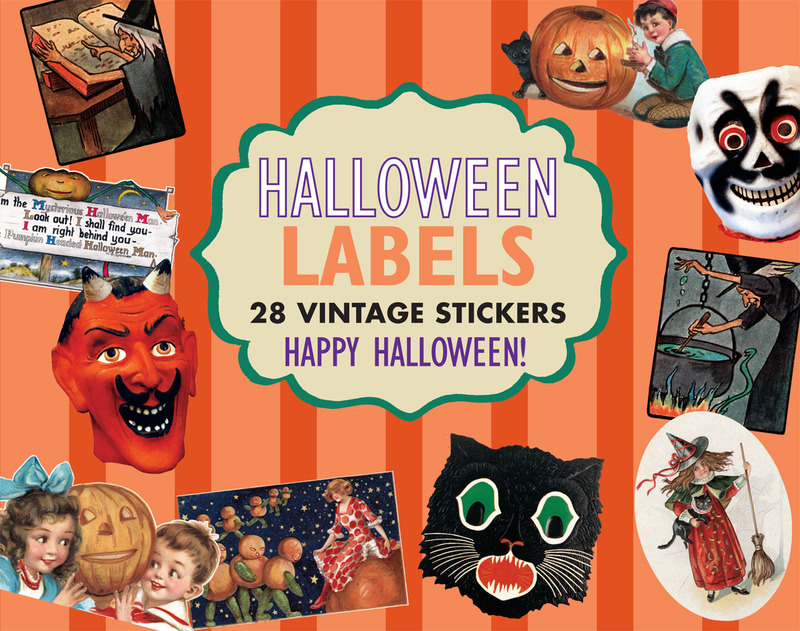 This box of 28 die-cut stickers, suitable for gifts, invitations, decorations, scrapbooking and general spooky crafting, includes black cats, jack-o-lanterns, witches, parties, costumes, apple bobbing, trick-or-treating, and more. This box of 28 die-cut stickers, suitable for gifts, invitations, decorations, scrapbooking and general spooky crafting, includes black cats, jack-o-lanterns, witches, parties, costumes, apple bobbing, trick-or-treating, and more. Our sources are as varied as our subjectschildren's books, magazine illustrations and covers, calendar art, scraps, decorations, posters, etc.